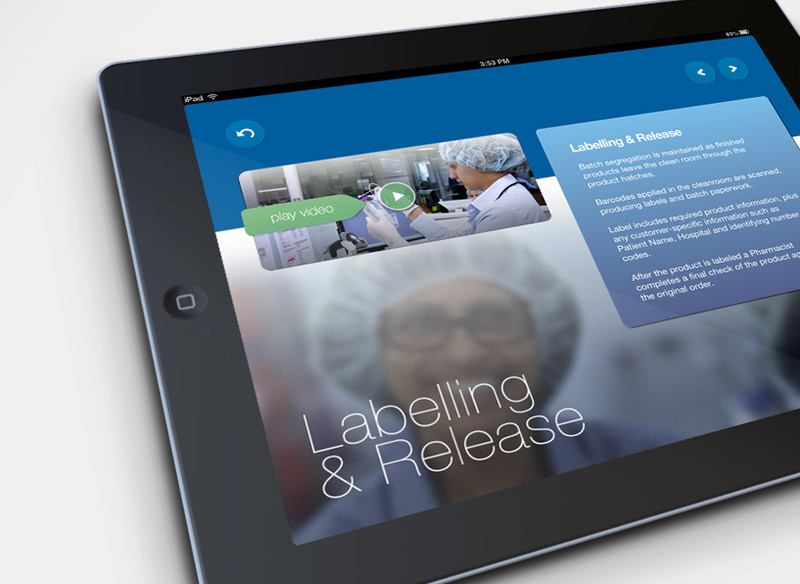 While Baxter’s compounding pharmacies and associated processes are certainly impressive, it’s not always possible for busy customers to arrange a visit to see just how their orders are processed. 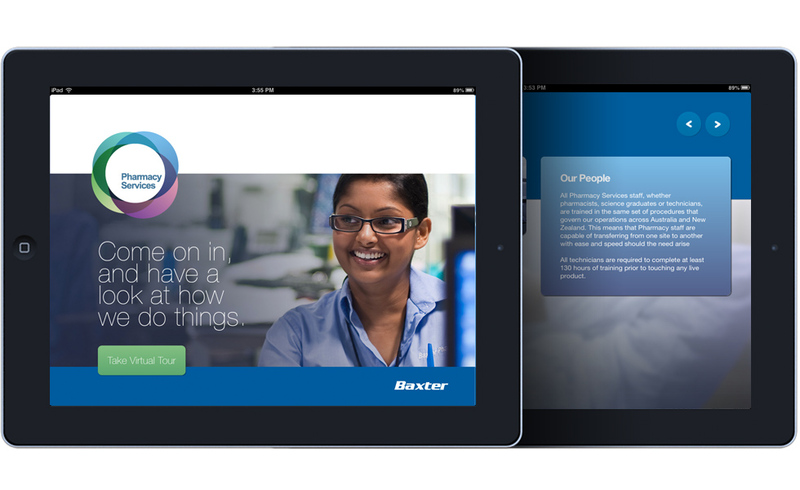 To solve this, enso worked with Baxter Healthcare to develop an interactive iPad based virtual pharmacy tour allowing sales specialists to take the experience to the customer. 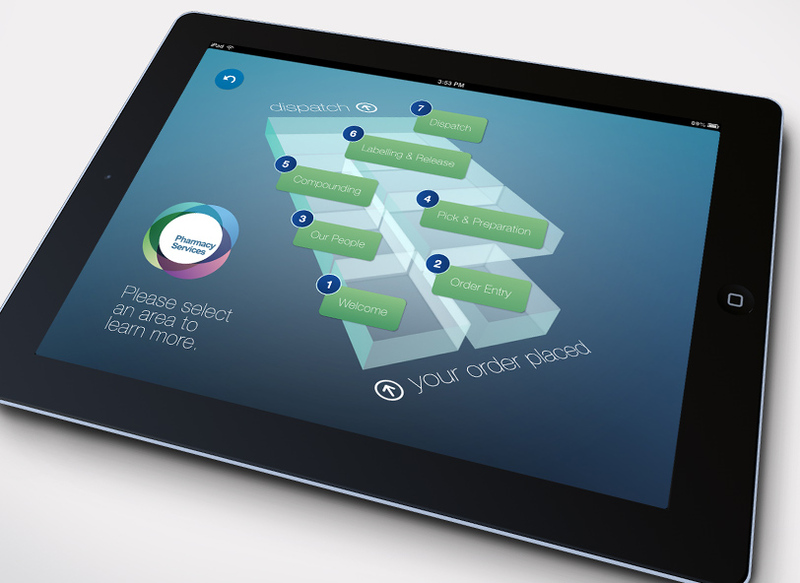 Interactive menus allow the viewer nonlinear access to the pharmacy. Tour makes use of guided short films from around the pharmacy floor.